BenQ and Epson are your best bets. 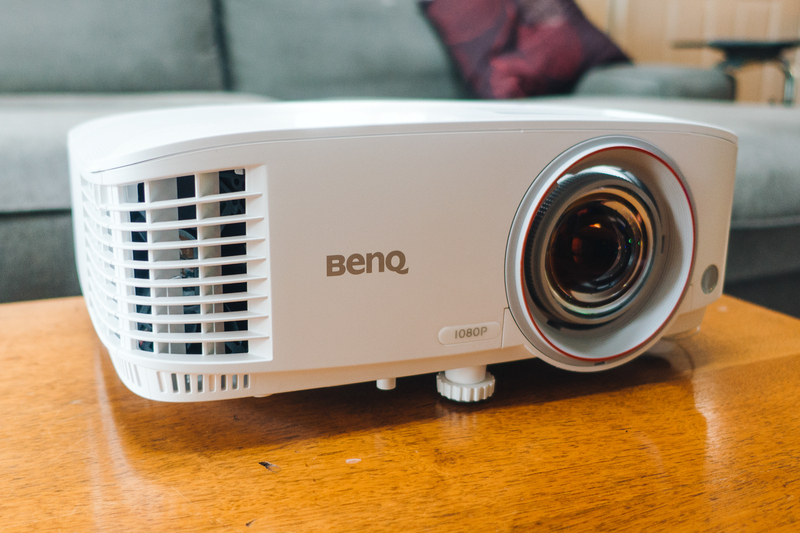 After spending 130 hours testing four new home theater projectors (in addition to the nine we previously tested), we think the BenQ HT2050 is the best projector for under $1,000. Its best-in-class contrast ratio, bright output, and impressive color accuracy help it compete against projectors costing twice as much. A projector in this price range won't look as good as a TV screen during daytime viewing, and it won't have the 4K and HDR support of the latest batch of TVs in this price range. But if screen size is your top priority and you don't have a dedicated home theater room, the projectors in this guide are for you. The two most important attributes of a projector are contrast ratio and brightness. Contrast ratio is the difference between the brightest part of the image and the darkest. A high contrast ratio means dark blacks and bright whites. No projector in this price range has a great contrast ratio, but some are certainly better than others. The brightness, or light output, determines not only how bright the image is (obviously) but also how large an image you can create (image brightness decreases with image size), and thus dictates what type of screen you can use. 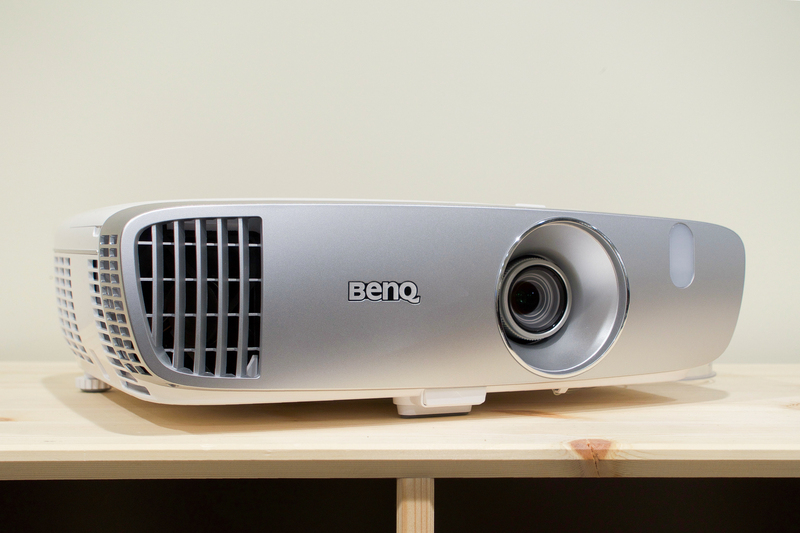 Brighter projectors also perform better in rooms with lots of ambient light. After brightness and contrast, color accuracy comes next in importance, followed by (more distantly) resolution and color temperature. In this price range, a 1080p projector with accurate colors on a neutral white screen is the best for most home video uses. You should also look for features that make setup easier, such as a zoom lens with a throw ratio around 1 or lens shift, which makes installation and alignment easier. 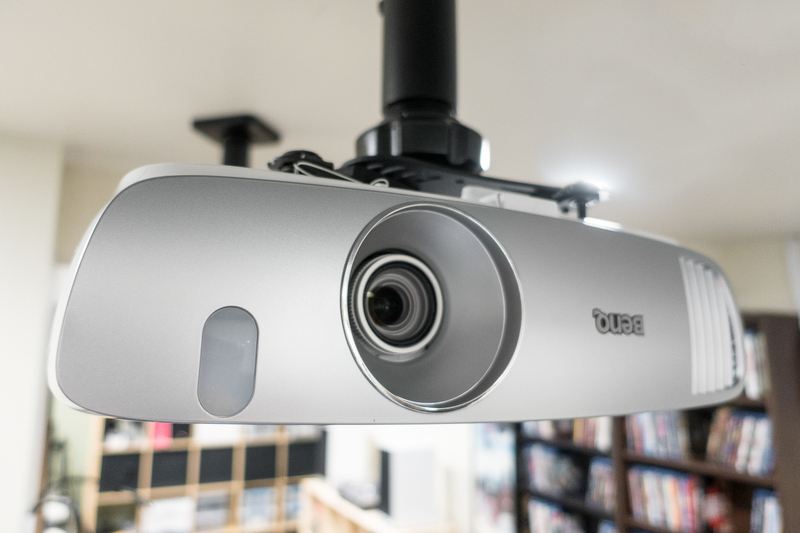 To read more about how these specs and features can affect a projector's performance, please see our full guide to $1,000 projectors. To test projectors, we measured their light output, contrast ratio, color and color temperature accuracy, and more using $10,000 worth of professional-grade test equipment. Because numbers don't reveal the whole picture, we also placed each projector side-by-side and displayed the same content on identical screens. This made it easy to see differences in color and brightness in a real-world scenario that better simulates how people actually use projectors. The BenQ HT2050 offers accurate colors, creating an image that's more realistic and lifelike than that of other models at the same price. It produces a bright picture with great motion detail and a great contrast ratio that's about double that of similarly priced competitors. Overall, the image is as good as (if not better than) what you can get from many projectors costing hundreds more. The HT2050's light output is plenty enough to illuminate a typical home theater screen. It uses an RGB color wheel, which is slightly less bright than the more common Brilliant Color wheel from Texas Instruments, but results in more accurate colors. You can enable Brilliant Color in the Advanced menu if you need extra brightness and are willing to deal with less accurate colors, but the HT2050 is more than bright enough without this feature. The BenQ HT2050 has two HDMI ports, component inputs, composite inputs, and a standard USB Type-A port capable of powering a streaming stick. Combined with the HT2050's built-in speaker, this projector gives you the ability to have impromptu outdoor family movie nights using a single extension cord. 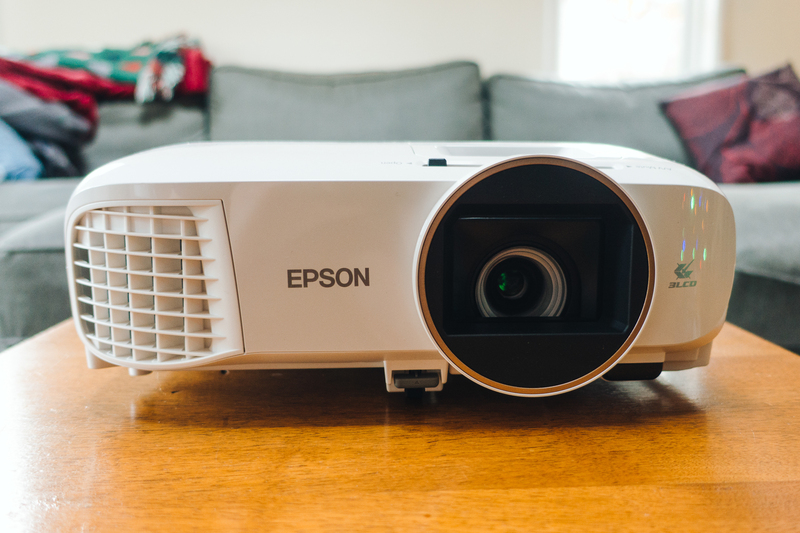 The Epson Home Cinema 2100 offers slightly lower contrast ratios than our pick, but it's a brighter model, and thus a better choice if you can't make your room completely dark. Like our top pick, it has an integrated speaker and a USB port, making it suitable for outdoor movie nights. Although it can't produce the dark blacks of the BenQ, the Epson's overall image quality is quite close. The Epson 2100 uses three LCD panels—which need to be perfectly aligned in order to create a perfectly sharp picture—so it isn't as sharp as the BenQ, which uses a single DLP panel. Each of the three LCD panels is responsible for one color (red, green, and blue), but due to their small size (about 0.6 inch across), even the smallest fraction of misalignment can produce barely perceptible color fringing on a giant screen. This issue is one inherent to the three-panel design that's impossible to avoid, but it doesn't produce the rainbow effect seen in DLP projectors. If you don't have the space for a standard projector, or if you want something you can easily set up and not leave out all the time, you might want a short-throw projector, which needs less space between the lens and the screen. The BenQ HT2150ST can produce a 100-inch image while sitting less than 5 feet away from your wall or screen, which lets it fit into more confined spaces. Our main pick, the BenQ HT2050, has to sit between 100 and 130 inches from your screen to produce a 100-inch image. This flexibility comes with a trade-off: the image is less clear and the colors are not as vivid, but it still produces a good picture. Unlike our top pick, the 2150ST uses the TI Brilliant Color wheel instead of an RGB wheel. This makes the image brighter, but results in subdued and less accurate colors. That said, the brighter whites can be beneficial if you're watching in a room without much light control.